#MetaHash is a Swiss-registered MultiPoS consensus blockchain and decentralized real-time application platform. Moreover, #MetaHash aims to integrate blockchains with one another, creating a decentralized platform for a new style of Internet. #MetaHash views its system as both a replacement for and an upgrade to the smart contract paradigm. The ultimate goal is decentralized applications that work seamlessly, in real-time, with one another like traditional Internet offerings. There are four main elements to the #MetaHash network. #TraceChain is #MetaHash’s answer to the transaction speed problems facing extant blockchains. It is an automatic self-learning algorithm for signal routing, with beginning speeds of around 50,000 transactions per second. 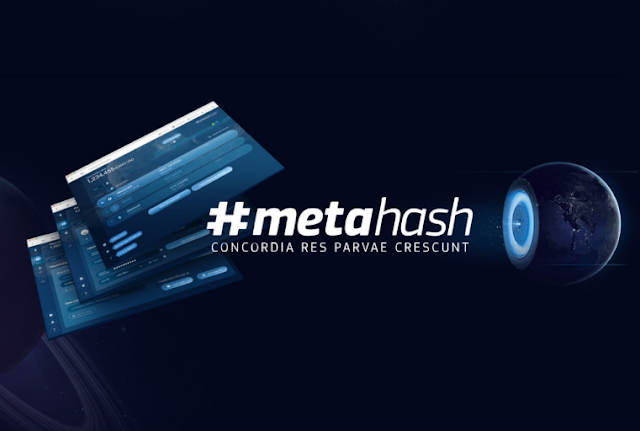 #MetaHash claims that the system is infinitely scalable as the #MetaHash network grows in the number of nodes and processing power. The next element of the #MetaHash network is #MetaApps. #MetaApps’ code prioritizes network resources and node owners’ financial motivation to optimize the location of application copies. Essentially, developers’ apps will be voted on by #MetaHashCoin holders according to those holders’ values. #MetaGate browser serves as the portal by which developers can access the #MetaHash network, and the #MetaHashCoin itself is the network’s native currency. The developers then went on to list the market needs that #MetaHash serves. Chief among these are full decentralization, full synchronization, low prices, transaction speeds under three seconds, and high bandwidth. 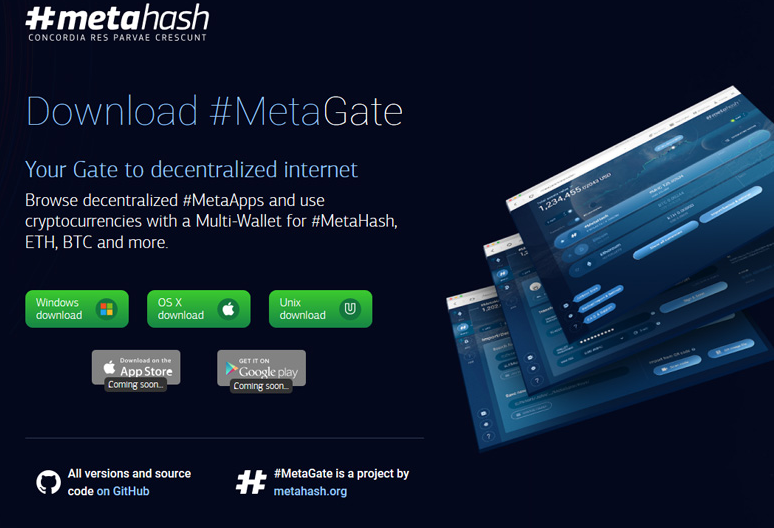 In the end of June, #MetaHash has opened its MainNet, following months of load tests which showed results above initially declared capacity of more than 50,000 tx/s with under 3 seconds validation, and started distributing #MHC prior to its upcoming start of forging initiatives. Owners of #MHC will become the first nodes contributing into the network’s growth and enjoying the full advantages of the early forging, scheduled for August, 2018. It will be interesting to see how this develops with the launch of more of the ecosystem. Who Is the Team Behind #MetaHash? #MetaHash can be thought of as a conglomerate consisting of three different companies and their respective leaders. The first co-founder profiled in the team’s white paper is Gleb Nikitin, founder of automated ad placement system AdSniper. The second is Adnow CEO Vladimir Bashkin, and the third is investment firm leader Anton Agranovsky. The teams behind each respective company all contribute to the development and operation of #MetaHash. Although the project is registered in Switzerland, much of the development team’s collective experience is in the Russian market. What’s the Market Look Like? #MetaHash is in the process of holding an initial coin offering, and the company lists its current #MHC price as just $0.0391 per each (can be purchased in ETH and BTC converted at the exchange rate at the time of purchase). The coin’s total supply is expected to be 9.2 billion, issued over the next 10 years. New coins are created via the forging process, as the developers described in their white paper. What’s Next on the #MetaHash Roadmap? As a development platform, it’s difficult to predict what exactly the future holds for #MetaHash. By August, the #MetaHash team expects to begin forging coins. Thus paving the way for the launch of a fully decentralized system in the first quarter of 2019. #MetaHash still being in development, it will be interesting to see how the final system succeeds. The main selling point of the system is its speed, although the wallet and browser they have developed for users of DApps on their platform also benefit the end user. In terms of said speed, it certainly seems that they are living up to the hype. Although the team explains that testing is still the name of the game for their roadmap right now, they also explain the backup strategies and contingencies in the event that tweaks need to be made. While it is a work in progress, it certainly looks promising from a tech and investment perspective. You can view the project’s website here and read the white paper here.